Have you ever received an email at work, then when you go to reply to it, the “reply” goes to someone else other than the person who sent you the email? This mix-up happened to me recently. I replied to my manager’s email, and it was sent to his administrative assistant instead. It turns out, this is a very common practice in many workplaces using Microsoft Exchange Server, but you can do it at home too! Let’s look at how to polish our egos and set up our “secretary like” reply-to email addresses using the most standard email apps out there! In case you haven’t seen this before, here’s what this does. When you set up a reply-to email address, it will still look like all emails are coming from the original sender. The trick is that when people Click Reply, instead of sending the message back to the originator, it goes to a different designated address. Within the infrastructure of an Exchange server, the functionality for this is much greater, but we can still cover the basics without one. Below we’ll take a look at how to set this up using Gmail, Live/Hotmail, and Outlook. Let’s get started. 1. 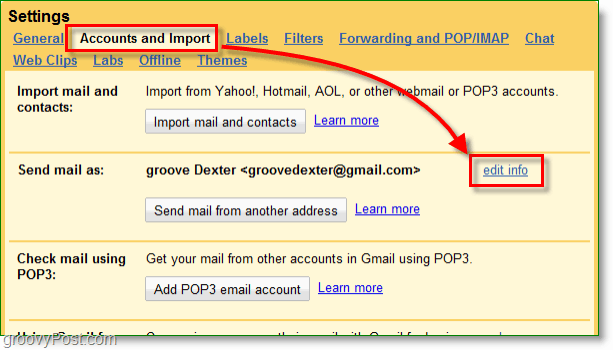 Log in to your Gmail or Google Apps account and Click Settings. 2. Click Accounts and Import then Click edit info. 3. In the pop-up window, Click Specify a different “reply-to” address. Then in the box that appears Type in the email address where you would like replies to go automatically. Click Save Changes when done. That’s all there is to it for Google mail! 1. 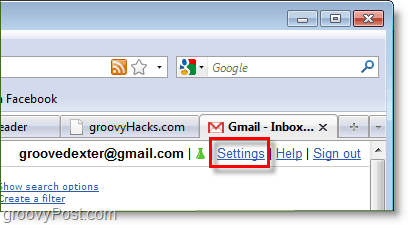 Login to your Hotmail or Windows Live account and Click Options then Select More options. 2. Under Customize your mail Click Reply-to address. 3. 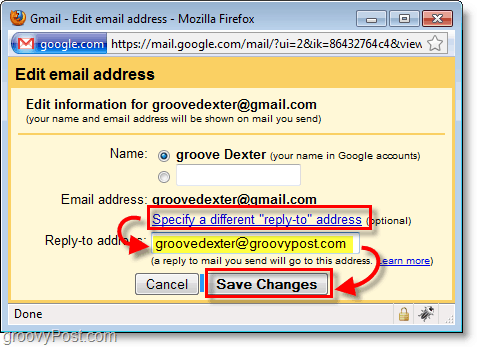 Check Other address, and Type in the different email address where you want replies automatically sent. Don’t forget to Click Save! 1. 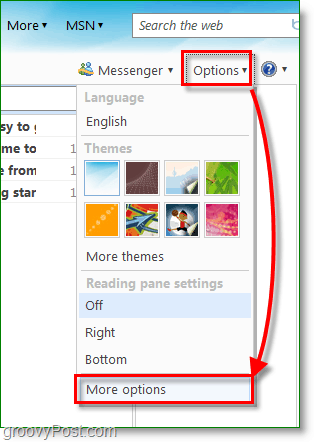 In Microsoft Outlook, Create a New Email and Click Options, Direct Replies To. 2. Check Box Have replies sent to: and Type in the Reply To Address and Click Close. 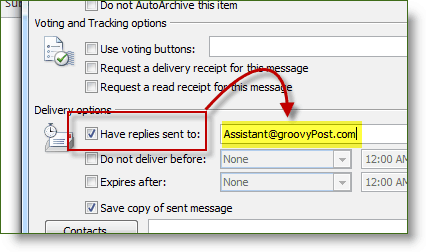 Unfortunately only Outlook 2007 & 2010 allow you to setup the Reply-To address on a case by case basis but, it’s still a groovy trick no matter which email client/service you use. It is possible for POP and iMAP email accounts through Outlook but I don’t think it’s possible if you have Microsoft Exchange running as your email server. Not to say it cannot be done with Microsoft exchange. Check with your Exchange Corp. Admin and the 2 of you can probably fix it up. What is the use case? Why are you trying to do it? That will help me give you a solution. 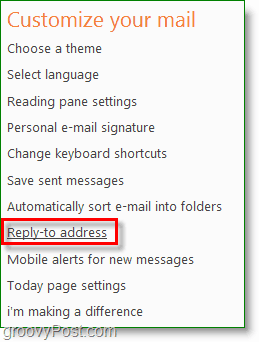 There is, indeed a global “reply-to” setting in Outlook 2010. By using this setting the specified “reply-to” address will persist. Great FYI Kevin. Thnx for the tip and Step-by-step. I believe this method works for Hotmail accounts. 6 – Fill in Reply E-Mail. Simply wish to say your article is as amazing. The clarity on your post is just spectacular and i can suppose you are knowledgeable on this subject. Well with your permission allow me to seize your feed to stay up to date with forthcoming post. Thanks one million and please continue the enjoyable work. Simply works with Thunderbird and a Gmail email account. How can this be done using Thunderbird and a Hotmail email address?